The official qualification process for 2012 is yet to be released, however, as a guide, here is how those competing in Beijing in 2008 were chosen - the same principles were applied to both male and female competitors. The top 56 players in the world qualified automatically, although only four singles players from each country could compete. A country which had more than four players eligible had the right to select its representatives. Two players received invites from the tripartite commission, while the final six places were allocated by the International Tennis Federation based on world ranking and country representation. In the men's competition, Andy Murray is currently ranked fourth in the world and looks certain to be involved if the system remains unchanged. Alex Bogdanovic is the next best at 190 and will be relying on an invite. 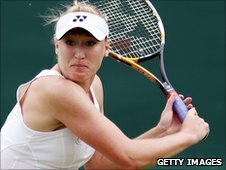 Elena Baltacha is Britain's highest-ranked woman but is hovering just outside the top 56 in the world. Katie O'Brien and Anne Keothavong are the only other two inside the top 200 in the world. There are big hopes for teenagers Laura Robson and Heather Watson who are climbing the rankings and are 220th and 262nd at the time of writing. Ten players directly qualified based on their world ranking if their nominated partner had a recognised singles or doubles ranking or if their nomination did not bring the total number of competitors from that country to more than six. Each country was also only allowed a maximum of two pairs. 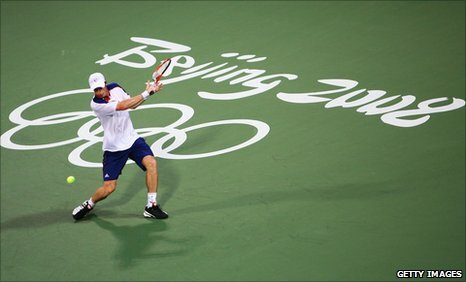 Ken Skupski and Colin Fleming are the highest-ranked Brits in 46th and 47th respectively so have some work to do. Sarah Borwell is the top woman, although she is the only Brit inside the top 100 in 70th.